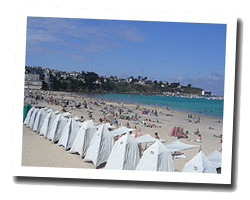 Saint-Cast-Le Guildo has seven beautiful sandy beaches variously oriented. The Cap de Saint-Cast and the Cap de la Garde offer beautiful views of the Emerald Coast, from Cap Fréhel to Saint-Malo. A marina animates the town. At the seaside, coastal trails provide opportunities for hiking and walks. 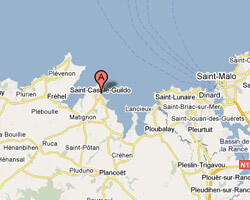 In Saint-Cast enjoy a seaview holiday rental. 3 rooms apartment 62sq. m on the 4th floor (lift only to the 3rd). No smoking. 2 Bedroom(s), 1 double bed(s). Final cleaning : included. 3 rooms apartment 68sq. m. Large Terrace 45sq. m with view of Côte d'Emeraude. beach 7mn walking. no smoking. 2 Bedroom(s), 1 double bed(s). short stays possibility. Final cleaning : included. 10 rooms Villa 300sq. m. Terrace, garden 3000 sq. m with deck chairs, shared tennis court. 9 Bedroom(s), 5 double bed(s). short stays possibility. Final cleaning : 70 €. 6 rooms villa 140sq. m with beautiful Sea view. 5mn walking from the beach . Garden with outdoor furniture, deck chairs and barbecue. No smoking. 3 Bedroom(s), 2 double bed(s). House 6 rooms 130m2. Close to the beach. terrace.